The North End Huntington Heights Historic District is a 22 block, early twentieth century neighborhood developed primarily between 1900 and 1935. It contains an incredibly diverse array of architectural styles for a development of its size including Queen Anne, Beaux Arts, Colonial Revival, Craftsman, American Foursquare and Tudor Revival styles. From marble windowsills to elaborate stained glass to fine woodwork, each home boasts a wealth of architectural features and craftsmanship unmatched elsewhere in the city. In it’s heyday the neighborhood was nicknamed the “Gold Coast” and Huntington Avenue “Mahogany Row”. A rare aerial photo taken in 1919. The view is up Huntington Avenue from 54th to 62nd Streets. Stretching from 50th Street to 68th Street, the historic district sits on a high bluff overlooking the James River. It is bordered to the West and South by the Newport News Shipyard, to the East by the CSX (formerly C&O) Railroad, and to the North by the Mercury business corridor, the neighborhood has always been closely tied to the surrounding industry. Ironically those same industries that gave rise to the district have also served to isolate and insulate it somewhat from the rest of the city. Truly it is the area’s “best kept secret”. 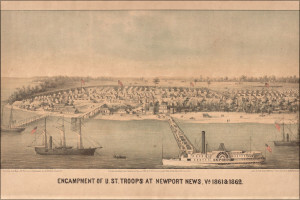 Union Camp Butler, Newport News Point. The land that would become the North End neighborhood is on the riverbank at the top left of this image. The tract of land was originally part of the domain of the Chesapeake and Kecoughtan Indians, the latter tribe led by Chief Powhatan, father of Pocahontas. In the early 19th century, before the Civil War, it was part of the Lee-Haughton farm. All the farm buildings of the Lee-Haughton family were burned during the Civil War while the area was under Union occupation. During the conflict, Camp Butler was established along with a Confederate prisoner of war camp just South of what would later become the North End. 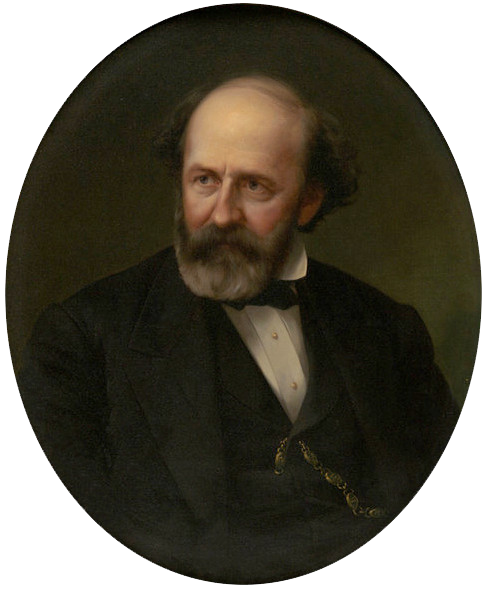 In 1880, Collis P. Huntington, wealthy railroad magnate and president of the Chesapeake and Ohio Railway Company, and his old Dominion Land Company acquired thousands of acres of farmland on the peninsula in anticipation of the construction of the terminus of the C&O Railway. The city of Newport News was incorporated in 1896 and by the first decade of the twentieth century was already getting crowded. The Old Dominion Land Company laid out blocks in the North End with 25 x 100 foot lots. Most were sold in pairs for building so that the typical North End home is on a 50 X 100 foot lot. Records from the period show that double lots near Warwick Boulevard sold for $600 – $800 while lots near Huntington Avenue sold for $800 – $1000. 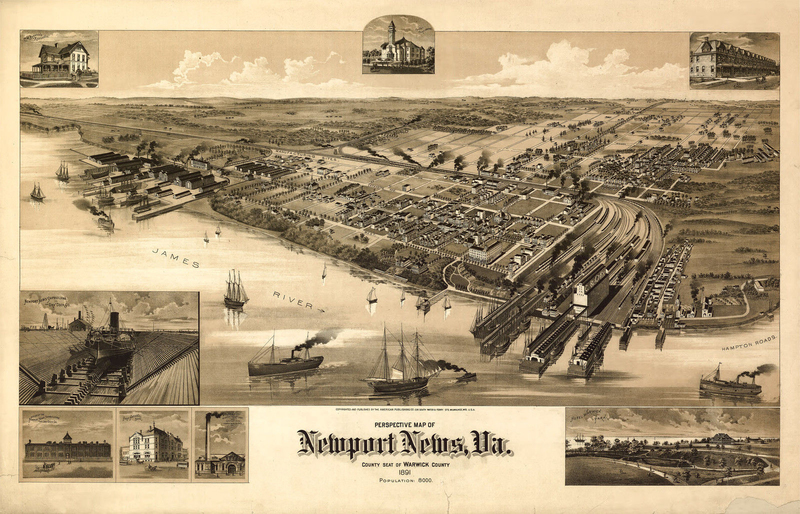 An 1891 perspective map of downtown Newport News. The railroad and shipyard are already bustling industries, and the vacant land that would soon become the North End neighborhood is visible on the left just beyond the dry docks. The first home built was the Willet-Bivins Mansion at 5500 Huntington Avenue in 1897. Newport News was only chartered in 1896, making this one of the oldest homes in the City. In addition to beautifully restoring the home, the current owners published a book detailing the house’s history and its significance to the surrounding area. One of the most impressive houses in the district is the handsome Beaux Arts style dwelling at 5600 Huntington Avenue built in 1902 for Walter A. Post, first resident president of the Newport News Shipbuilding and Dry Dock Company and first mayor of Newport News. The Post house surrounded by its original wrought-iron fence occupies the entire east side of the 5600 block of Huntington Avenue, the largest lot in the North End. 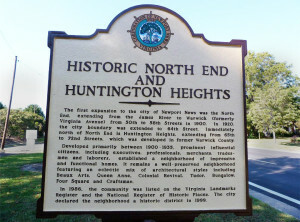 Other prominent residents of North End Huntington Heights included Philip W. Hiden, Mayor of Newport News (5600 Huntington Avenue); Samuel R. Buxton, Mayor of Newport News (5300 Huntington Avenue); W.T. Chapin, realtor and developer of much of the North End above 64th Street (5512 Huntington Avenue); W.E. 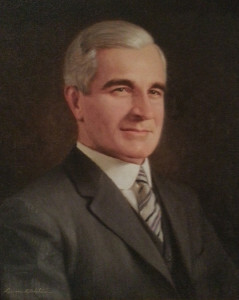 Barrett, realtor and reputedly the wealthiest man in Newport News in 1915 (5601 Huntington Avenue); Saxon W. Holt, wholesale merchant and later Lieutenant Governor of Virginia (5712 Huntington Avenue); the McMurran family, Lewis A. McMurran Jr. State Representative (5912 Huntington Avenue), Thomas Downing, former U.S. Congressman (314 64th Street), and for a brief period in her teenage years, actress Ava Gardner. During WWI, the shipyard’s production swelled along with its workforce. 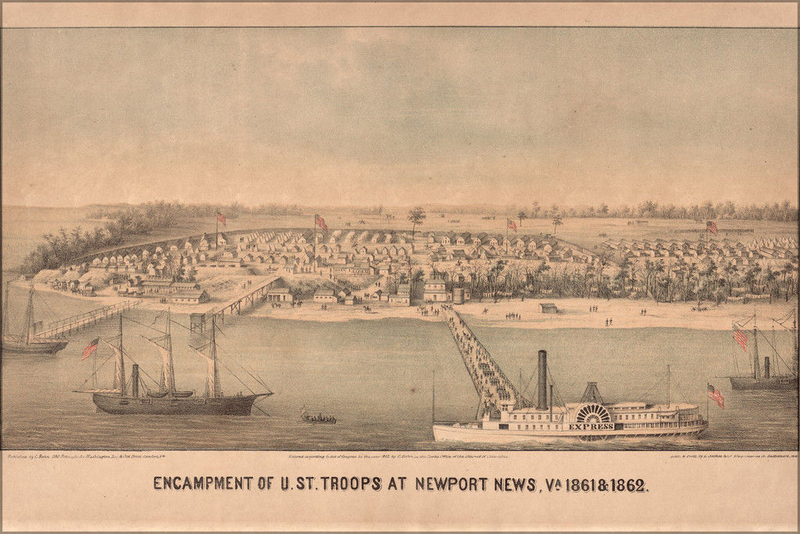 Newport News point was once again put to military use, this time as a Port of Embarkation for troops coming and going to the European theater of war. The North End underwent a building-surge, constructing more than 90 houses in the teens. The community certainly noticed the activity as Camp Hill was established with its southern border being 64th Street and spanning from the James River to Jefferson Avenue. It contained 250 acres, over 200 buildings, and quartered up to 10,000 livestock. A part of Camp Hill became Camp Alexander, which served as a training and embarkation camp for then-segregated colored troops. By the time it was deactivated on January 1st, 1919 Camp Hill had processed 63,887 men and 47,260 animals for overseas duties. 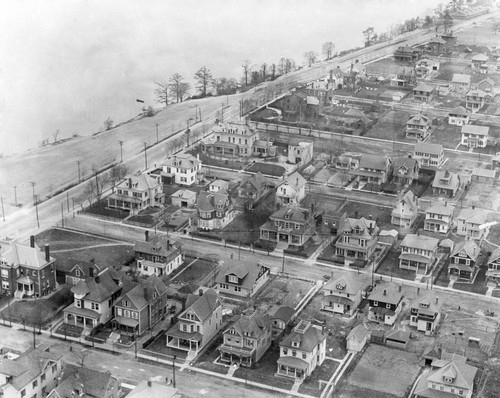 The interwar years brought the last surge in construction as land belonging to the former Camp Hill was developed into Huntington Heights. During WWII, the City once again became a hub of activity. As the shipyard turned out an impressive number of war-vessles, Newport News point returned to service as a Port of Embarkation. In addition to surrounding camps processing inbound and outbound troops, a German POW camp was located alongside the railroad tracks in the area of 58th St.
After the war the neighborhood returned to its calmer residential pace of life. As the once-thriving downtown area gradually succumbed to industrial development, the community became detached from walking-distance access to shopping and dining. An expansion of the shipyard northward deprived much of the area of its premier beach access and unobstructed river views. On July 1st, 1958 Warwick County merged with Newport News giving the City its current boundaries and at the same time consolidating the North End and Huntington Heights. Historic marker at 67th St. and Huntington Ave. 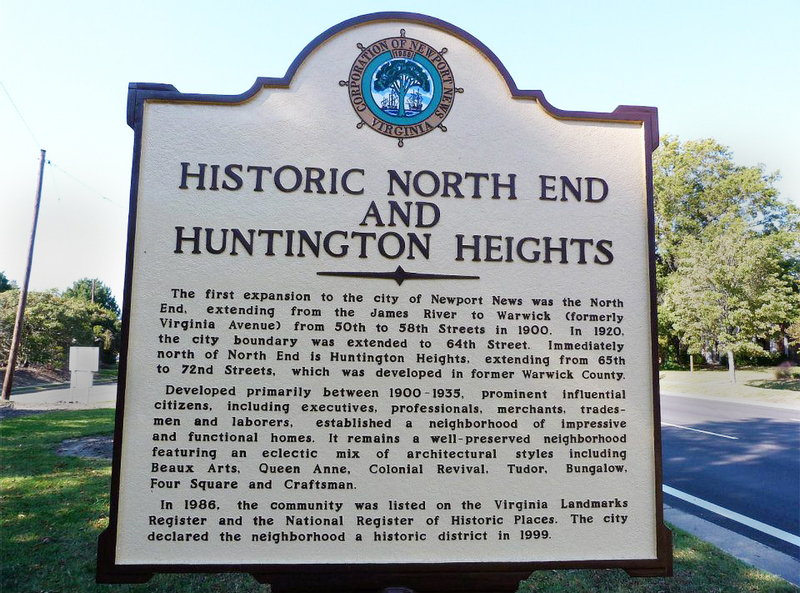 In 1986 the North End community was officially recognized as a Virginia Historic Landmark. It is also listed on the National Register of Historic Places. It was declared and zoned as a Historic District by the city of Newport News in October 1999 and is governed by a zoning overlay designed to preserve these unique architectural elements. The community today remains tight-knit and retains it’s traditional residential charm of yesteryear. Neighbors here are more than just the people next door, they are friendly folks that can be relied on. Children play in their yards and residents can be found taking leisurely strolls, striking up conversation with passers by and old friends alike.